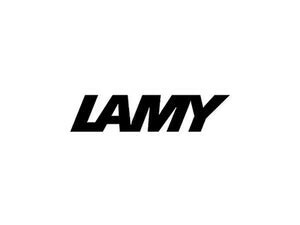 The LAMY aion attains a completely new level of quality in the Modern Writing sector. Each element of its seamless deep - drawn aluminium body lends a uniquely harmonious appearance to the range. The body and cap feature attractive brushed finishes which contrast the LAMY aions blasted grip and polished clip. A silk-matt anodised coating in red emphasizes the ranges a highquality finish, complemented by its spring - loaded clip with logo embossed on the side.